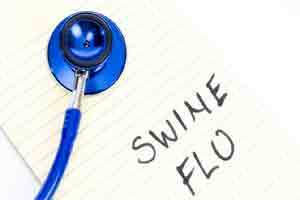 Shimla: With eight fresh cases of Swine Flu detected in this hill state till Tuesday, the number of H1NI cases went up to 169, a senior officer of the Health Department said. Dr Sonum Negi, State Communicable Disease and Surveillance Officer said that till February 12, out of 38 samples tested, eight were found positive for H1N1. He said that so far, 496 influenza patients have undergone clinical trial and 169 were found positive for Swine Flu. According to the officer, one more person died on February 11, belonging to Kangra district, increasing the number of casualties to 21. According to reports, eight people in dead Kangra, five in Mandi, two each in Una, Hamirpur, Shimla and one each in Bilaspur and Solan, respectively. Seven patients have succumbed in the IGMC, so far. He further said that out of total 169 H1N1 cases, 52 were detected in Kangra, 47 in Shimla, 18 in Mandi, 14 in Solan, 10 in Hamirpur, eight in Bilaspur, six in Chamba, four in Sirmaur and three each in Una and Kullu and Kinnaur, respectively. About 18 patients are suffering with deadly influenza in the hospital, he added. The state recorded only two deaths due to Swine Flu in 2018, five in 2017, as many in 2016 and seven in 2015. Viral influenza surfaced the first time in 2009. The government is providing free of cost treatment for Swine Flu in IGMC, Tanda Medical College and Central Research Kender in Kasouli, while Tamiflu tablets are being made available to the patients, Dr Negi added.